Hello! I'm Paige and my blog is New Momma Notes. 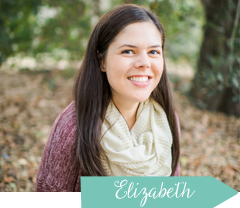 I'm so happy that Elizabeth is hosting this feature for all of us boy moms!!! I hope you'll come read about my adventures with my little man, Carter! This is how it all started... Whenever I imagined my life, I always pictured myself as a mom to girls. I'm pretty girly. I wore pink to prom, my childhood bedroom was Laura Ashley pink floral, and in college I worked at Babygap and had a few adorable girl outfits stashed away. I was meant to be a girl mom. As I laid in the ultra sound room in December, the technician pointed and said "look right there for the gender" and tears came to my eyes immediately. his little red pants are darling! Thanks so much for hosting, Elizabeth!! I love having a boy, too....and I love that we can dress them as mini hipsters ;) He's so cute! Great topic!! When I found out I was having a boy, I was like.. WHAT?!?! I don't know how to do boy stuff! Now, he's 19 months old.. almost 20.. and I LOVE the Mother-Son bond.. in fact now I worry that if I ever have another and it's a girl will it be the same love? I know it will, but yea.. this is awesome! I find baby boys irresistible now. It's so crazy, huh? Before I found out he was a he, I thought I wanted a girl. I am a girl, I know how to raise a girl. Then I found out he was a he and I couldn't imagine ever having a girl! I'm with you, I LOVE the mother-son bond!